Having trouble keeping the predators out of the chickens? Look no further! 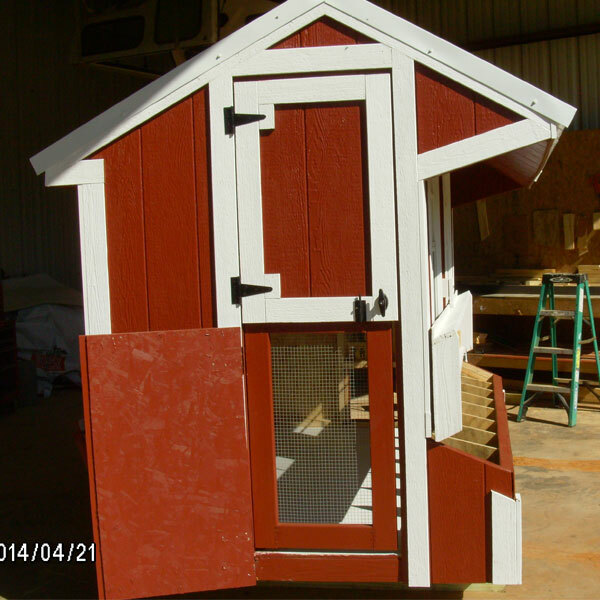 These chicken coop are each hand made to secure your chickens from any predator! 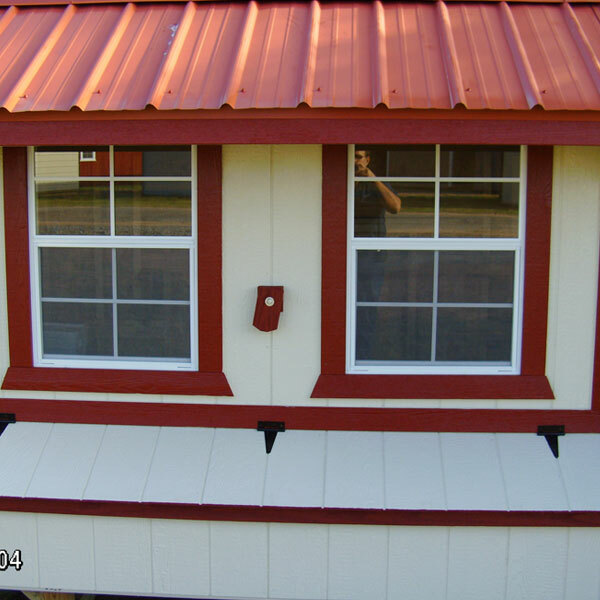 These chicken coop feature a metal roof and wire protection n the windows! Our best seller is the 8×12. 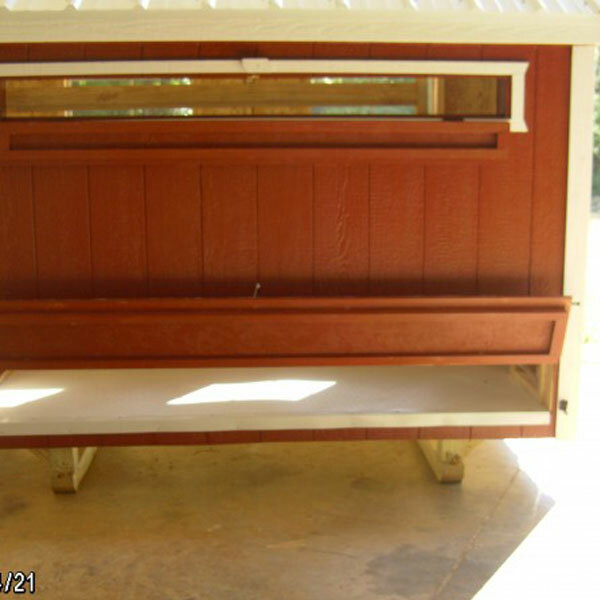 This size is perfect for 24-30 chickens, and is tall enough to stand up inside. 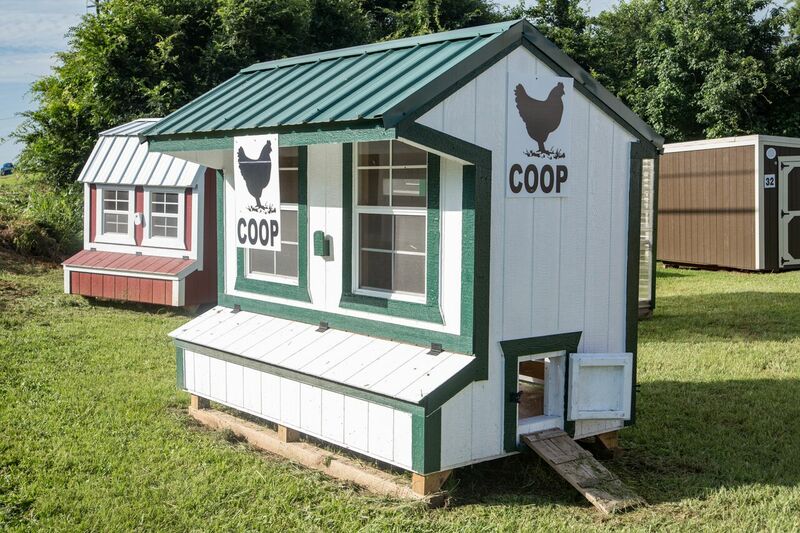 This coop is by far the best route to go if you're looking to have a larger flock. 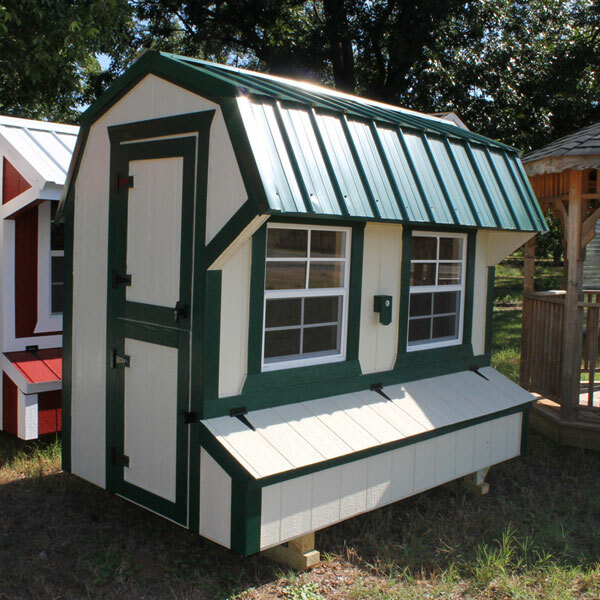 You're able to upgrade to the 8×12 and add additional options to your chicken coop by selecting them in the drop down menu.